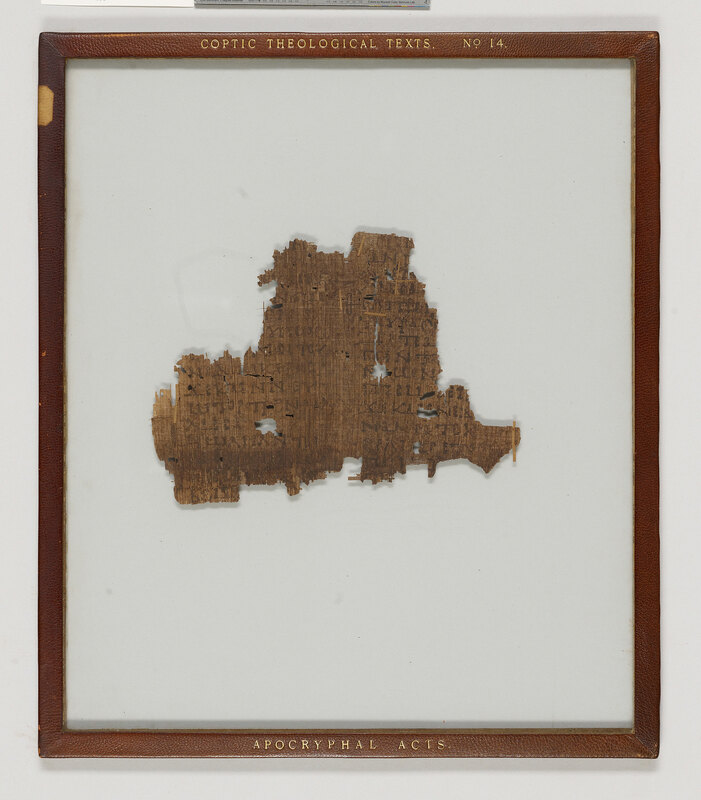 Manuscript leaf fragment from a papyrus codex of perhaps an Apocryphal Acts of the Apostles; written in Egypt. Text: Andrew is mentioned. Edited and translated into English by Crum. Written area ? x ca. 142 mm. 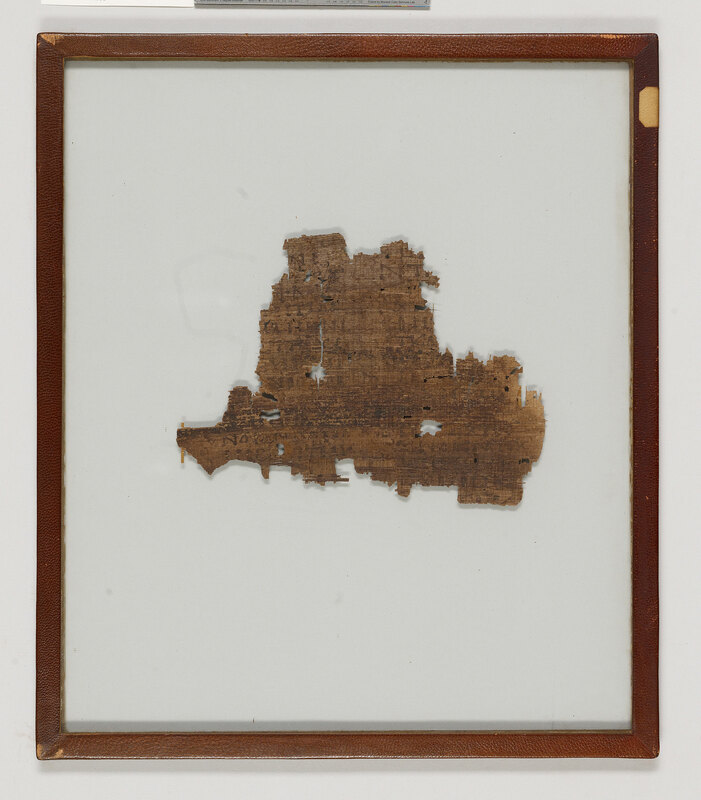 Divisions: Ekthesis, slightly enlarged initial, and paragraphus sign (zeta-shaped coronis on recto) setting off paragraphs. Superlineation and Punctuation: ? Tremas?